Finding content inspiration can often be a lot like fishing for walleye. You can spend all day trolling the lake, dropping your line in every cove you find, only to end up with a string of sunnies. But when you find the right hole, and hook a big one, you know the work was all worth it. To help you prepare for your next content outing, we’ve decided to help stock your tackle box with some fresh content bait. So we did some scouting and put together a calendar of Minnesota events to give you some ideas and help inspire your social media and content marketing for 2014. New Year’s Day, January 1st – First day of 2014. Happy New Year! Polar Dash, January 1st – Annual 14 mile, 10k and 5k starting and finishing at Shriner’s Hospital for Children in Minneapolis. Mariucci Classic, January 3-4 – Annual mens college hockey tournament hosted by the Minnesota Gophers, with three visiting opponents. Held in the Mariucci Arena on the U of M campus in St. Paul. Ice Fest, January 3-5 – Hard Winter fun on Pelican Lake in the Brainerd Lakes area. Minnesota Sportsmen’s Show, January 9-12 – 44th annual boat, camping and vacation show that promotes outdoor destinations and activites all over Minnesota. Held at the River Centre in downtown St. Paul. Cabaret, January 15 thru February 9 – Hennepin Theater Trust presents the Broadway production of Cabaret to the Pantages Theater. Ice Box Days, January 15-19 – Annual International Falls 4-day celebration of cold weather. Includes the Freeze Your Gizzard Run, 10k & 5k running races. US Pond Hockey Championships, January 17-19 – Over 140 hockey teams compete in 6 divisions on more than 26 rinks assembled on frozen Lake Nokomis. Shorewood Arctic Fever, January 17-19 – A winter-time community celebration in Shorewood. Hockey City Classic, January 17 – The Minnesota Gopher women’s and men’s hockey teams each play a game outdoors against a rival team. Held at the TCF Bank Stadium on the U of M campus in St. Paul. Metrodome Deflation, January 18 – Deflation of the air supported metrodome roof takes place on this day, followed by dismantling and demolition of the stadium itself, to make way for the new stadium that will be constructed on the same site. Lake Harriet Kite Festival, January 18 – Kites of all shapes, sizes, colors and themes will fly over frozen Lake Harriet. Other activities include ice fishing, horse-drawn wagon rides, snowshoeing and a children’s medallion hunt and marshmallow roast. Tet Festival, January 18 – Minnesota’s Vietnamese community celebrates their New Year, or Tet. Held at Kennedy High School in Bloomington. Minnesota Swarm Home Opener, January 19 – First home game of the 2014 season for the Minnesota Swarm, professional Lacrosse team. Excel Energy Center, downtown St. Paul. Bloomington Winter Fete, January 18-26 – 11th Annual Winter Fete celebration. Will have hockey games, open ice skating, sledding, broomball and more. Held in various Bloomington locations. Frozen River Film Festival, January 22-26 – Film festival bringing together dozens of fascinating independent documentaries on every subject. As well as workshops, speakers, music and food. 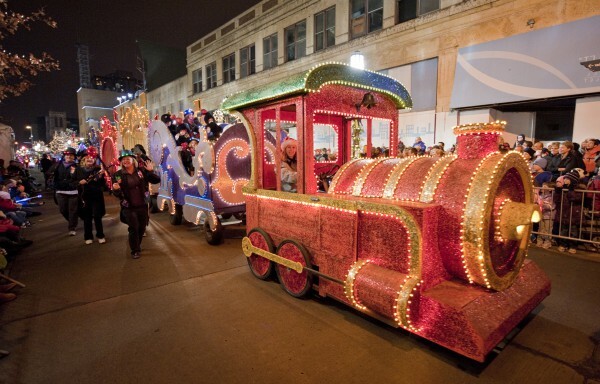 St. Paul Winter Carnival, January 23 thru February 2 – Annual 10-day winter celebration held in St. Paul. Features parades, ice sculptures and castles & other outdoor activities. Twinsfest, January 24-26 – Annual fundraiser for the Minnesota Twins Community Fund. Fan festival features player appearances, collector’s show, amusements and activites for kids and adults, tours of Target Field the clubhouse and more. Back To Hack, January 24-26 – A snowmobile parade, community bonfire, fireworks, ice fishing contest and a game show. Held in Hackensack. John Beargrease Sled Dog Marathon, January 24-30 – Annual sled dog marathon, 411 miles in length. From Duluth to Grand Portage along the North Shore. Starts in Duluth. King Boreas Grande Day Parade, January 25 – Annual Winter Carnival parade in honor of King Boreas. 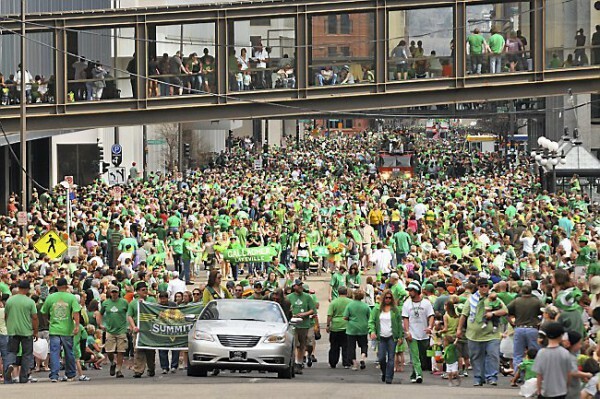 Parade route is along W. 7th St., Smith Ave. to Rice Park in St. Paul. Brainderd Jaycees Ice Fishing Extravaganza, January 25 – 10,000 anglers from around the world compete annually in the worlds largest ice fishing contest. Held on Gull Lake in Brainerd. Art Sled Rally, January 25 – Art and sledding combined to produce a spectacle of beautiful sleds and fun outdoor activities. Held in Powderhorn Park, Minneapolis. Fridley Winter Fest, January 25 – Community winter time celebration. Held in Fridley. Polar Bear Plunge, January 25 – 16 separate opportunities and locations for individuals, organizations and businesses to support Special Olympics athletes by jumping into frigid Minnesota waters. Brainerd Jaycees Ice Fishing Extravaganza, January 25 – 10,000 anglers from around the world compete annually in the largest ice fishing contest in the world. Held on Gull Lake in Brainerd. Arrowhead 135, January 27 – 135 contestants vie on foot, on skis or on bicycles in a 135 mile race through the icy wilderness of Minnesota. Held in International Falls. Evita, January 28 thru February 2 – Hennepin Theater Trust presents the Broadway production of Evita to the Orpheum Theater. Boat Show, January 30 thru February 2 – Annual boat manufacturers & dealers show their newest wares. Held at the Minneapolis Convention Center in downtown Minneapolis. 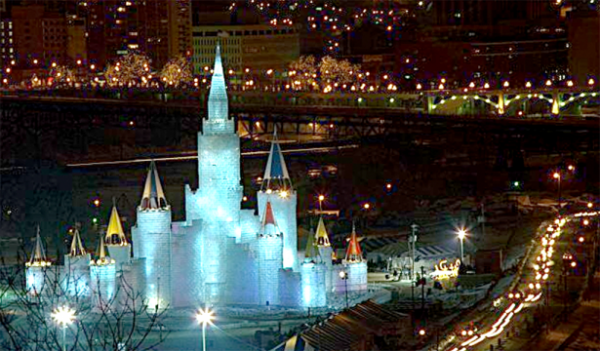 Rochester Winterfest, January 30 thru February 9 – Annual two-week celebration of winter activities. Held at various Rochester locations. City of Lakes Loppet, January 31 thru February 2 – A festival of cross country skiing and winter activities, including ski races, for the whole family. St. Peter Winter Fest, January 31 thru February 9 – City-wide celebration of winter things. Held in St. Peter. Sleigh & Cutter Festival, January 31 thru February 22 – Events take place throughout the month, and a special Childrens Dream Catcher fundraiser on March 22. Held in Waseca. Twin Cities Snow Shoe Shuffle, February 1st – Walking or running with snowshoes is a fun and healthy activity. The TCSS is a great opportunity to get outside with your friends or family! North Branch Winter Fest, February 5-9 – Community winter activities and festival. North Branch. Minneapolis/St. Paul RV, Vacation & Camping Show, February 6-9 – 47th annual exposition features information and demonstrations on vacation locations and activities throuughout Minnesota, plus RV and camper show, with dealers displaying their latest. Ely Winter Festival, February 6-9 – Ely loves to PARTY! And that’s what the Winter Festival is, a big party. Ely. Lake Bemidji Winter Festival, February 7-8 – First year of this new festival, it promises to be a weekend of Food, Fun and Entertainment. Bemidji. Polar Fest, February 7-14 – Over a week packed full of events to celebrate winter and many are free! Detroit Lakes. Freeze Fest, February 8 – Activities include breakfast, Freeze Your Face 5K Run, Fishing Tournament and culminating with a “Freezin for a Reason” Polar Plunge. Perham. Shiver Elk River, February 8 – Come shiver in Elk River when the community has their “chill”-abration. Elk River. Glenwood Winterama, February 8 – This event is a fun-filled day on Lake Minnewaska, near the Lakeside Ballroom. Glenwood. Minnesota Twins Spring Training, Early February – Traditionally an early February start of the spring training for the Major League Basebnall regular season. The Twins train in Fort Meyers Florida, and begin their exhibition game schedule on Feb. 28. Vasaloppet , February 9 – Cross country ski races held annually, involving a limit of 3,000 ski racers in 5 races of varyious length. Mora. Valentine’s Day, February 14 – In the modern era, the day is now celebrated by exchanging cards and electronic cards, love coupons, roses, chocolates and for some jewelry. Nisswa Winter Jubliee, February 14-16 – Activities include Miss Nisswa Pageant, snow sculptures, parade, wood splitting contest, ice fishing derby on Nisswa Lake, tug-o-war and more! Nisswa. The Big Freeze, February 15 – Polar Plunge, Snowshoe Shuffle, Disc Golf Ice Bowl, Snowmobile Radar Runs, Skydiving, Snowmobile Radar Runs, Kids Winter Carnival, Sleigh Rides, Chili Cook-off, Take A Kid Ice Fishing Geocaching, Music. Albert Lea. Twin Cities Women’s Expo, February 15-16 – Shopping, relaxation, fun, fashion, fitness and health, an exposition for women. Convention Center, downtown Minneapolis. Mamma Mia, February 18-23 – Hennepin Theater Trust brings the Broadway production of Mamma Mia to the Orpheum Theater. High School Girls Hockey Tournament, February 19-22 – State High School Girls hockey championships, all classes. Ridder Arena, U of M campus and Excel Energy Center, downtown St. Paul. International Eelpout Festival, February 20-23 – Winter fun in the north country, this festival is named for one of the ugliest bottom-dwelling fish, the eelpout. Walker. Cabin Fever Days, February 21-22 – A celebration of winter sports with snowmobile racing (4-14 yr olds) boot hockey or broom ball, vintage snowmobile show, crafts, food, drinks, awards dinner and the Minnesota Iron Rangers hockey game. Hoyt Lakes. Crappie Flop Ice Fishing Tournament, February 22 – Third annual ice fishing tournament on the metro areas largest lake. Lake Minnetonka, in Excelsior Bay. Grumpy Old Men Festival, February 22 – Winter festival in this river city filming location of the movie, Grumpy Old Men. Wabasha. 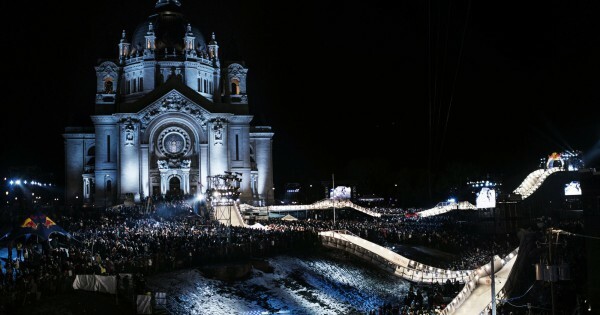 Red Bull Crashed Ice, February 22 – Ice cross downhill, or speed skating downhill through an obstacle course. Championship tournament sponsored by Red Bull. St. Paul’s Cathedral, St. Paul. High School Wrestling Tournament, February 27 thru March 1st – State High School wrestling tournaments, all classes, individual and team. Excel Energy Center, downtown St. Paul. High School Boys Hockey Tournament, March 5-8 – State High School Boy’s hockey championships, all classes. Excel Energy Center, downtown St. Paul. Twin Cities Auto Show, March 8-16 – Week long exposition at the Minneapolis Convention Center featuring the latest products from automobile manufacturers and dealers. Peter & The Star Catcher, March 11-16 – Hennepin Theater Trust brings the Broadway production of Peter & The Star Catcher to the Orpheum Theater. High School Boys Basketball Tournament, March 12-15 – State High School Boys basketball championships, all classes. Target Center, downtown Minneapolis. Northwest Sports Show, March 26-30 – Exposition featuring boating, fishing, camping and all outdoor recreation in Minnesota. Convention Center, downtown Minneapolis. Once, April 1-6 – Hennepin Theater Trust brings the Broadway production of Once to the Orpheum Theater. Minneapolis/St. Paul International Film Festival, April 3-19 – One of the largest and longest running film festivals in the country, this one annually presents some 200 feature length and short form narrative and documentary films from 60+ countries around the world. 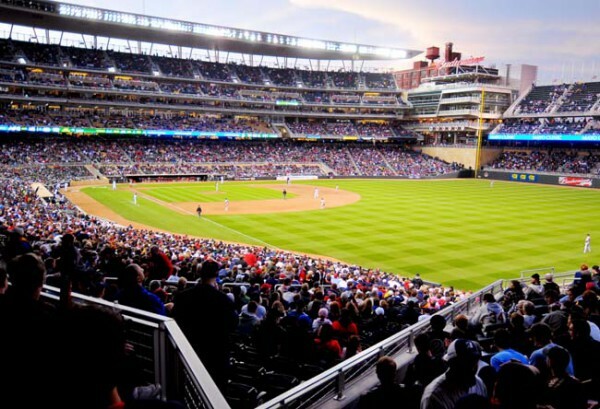 Minnesota Twins Home Opener, April 7 – The Twins play the Oakland Athletics at target Field in their 2014 home opener. Minnesota Horse Expo, April 25-27 – Showcases horses from around the state, new products, and encourages others to consider horse ownership. State Fair grounds, Minneapolis. Iron Man Bicycle Ride, April 27 – Annual 100 mile bicycle ride since 1967, it is considered the season opener for cyclists in the upper midwest. Washington County Fairground, Stillwater, MN. Duluth Homegrown Music Festival, April 27 thru May 4 – Annual showcase of rawk and/or roll devil music, it spans 8 days and takes place at participating venues all over Duluth, MN and Superior, WI. Minneapolis Comic Con, May 2-4 – Fans of comics, movies and science fiction get together, sometimes in costume. Convention Center, downtown Minneapolis. Cinco de Mayo, May 5 – Huge fiesta in the District del Sol with entertainment, music, dancing, food, a low rider car show, children’s activities, a history area, and a parade. St. Paul. Walleye Season Opener, May 10 – Annual season opener that draws thousands of Minnesota’s fisherman to lakes north of the Twin Cities hoping to catch the state’s favorite fish. Traditionally held on Mother’s Day weekend. Horse Racing Season, May – Live horse racing begins each May. Canterbury Park, Shakopee. Valleyfair, May – Normal spring weather brings weekend openings to Valleyfair Amusement Park. Shakopee. St. Paul Saints, May – Minor League baseball team of the Northern League begins their season play. Midway Stadium, St. Paul. Minnesota Lynx, May – Minnesota Lynx of the Womens National Basketball Association begin their season play. Target Center, downtown Minneapolis. Art-a-Whirl, 3rd weekend – Largest open-studio tour in the US, features art work of private artists and galleries. Northeast Minneapolis. Fort Snelling Opening Weekend, 3rd weekend – Watch cannon and musket firings, hearth cooking, learn about American Indian history, and try your hand at period games! Fort Snelling, St. Paul. Sister Act, May 27 thru June 1st – Hennepin Theater Trust brings the Broadway production of Sister Act to the Orpheum Theater. Grand Old Day, 1st Sunday – It’s the kick off to Minnesota festivals season, and is the largest one-day festival in the Midwest. Grand Ave., Wheeler to Dale St., St. Paul. Edina Art Fair, June 6-8 – Minnesota’s second largest art fair, featuring 300 North American artists, runs for three days annually. Edina. Music in the Zoo, Early June – Outdoor music from nationally acclaimed acts at the Minnesota Zoo beginning in early June. Weesner Family Amphitheater, Apple Valley. Steamboat Days, June 11-15 – Celebrating Winona’s steamboat heritage, this festival is the local highlight of summer. US Windsurfing National Championship, June 10-15 – Annual festival includes free instruction and competitive windsurfing, live music from original artists, food and art vendors, and art activities. Winstock Country Music Festival, June 13-14 – Two-day country music festival in Winsted, MN, drawing 15,000 to 20,000 fans daily. Stone Arch Bridge Festival, June 14-15 – Two-day festival featuring the work of 250 artsists, plus music on 3 sound stages. Mississippi waterfront, downtown Minneapolis. Excelsior Art On The Lake, June 14-15 – Art on the Lake, in its 33rd year, features more than 201 artists and 17 food vendors on the shores of Lake Minnetonka. Excelsior. Juneteenth, June 15 – The Juneteenth Festival observes the June 19th 1865 proclamation of the abolition of slavery in Texas. This celebrates the freedom for people of all racial backgrounds. Ghost, June 18-23 – Hennepin Theater Trust brings the Broadway production of Ghost to the Orpheum Theater. County Fairs, June thru August – Annual season begins for the mMore than 90 county fairs held annually in Minnesota. Farmer’s Markets, June thru October – More than 140 local farmer’s markets open for the season in many communities. Scandinavian Hjemkomst Festival, June 27-28 – Celebrate the rich culture, traditions, history and arts of the Scandinavian nations. Hjemkomst Center, Moorhead. Minnesota Vikings Training Camp, July – Minnesota Vikings training camp, practices and drills, usually starting late July. Blakeslee Stadium, Mankato. Independence Day Celebration, July 4 – Celebration of our independence as it was in the 1800s. Historic Fort Snelling, St. Paul. Hopkins Raspberry Festival, July 12-20 – Started during the Great Depression this annual weeklong festival includes parades, tournaments, arts & crafts and much more. Held in Hopkins. Major League Baseball All-Star Game, Jul 15 – Baseball’s best players will descend on Minneapolis for five days of events at Target Field and the Minneapolis Convention Center. Minneapolis Aquatennial, July 18-26 – A weeklong celebration of summer with activities held at various Minneapolis locations, with daytime and night time parades downtown. 3M Championship Tournament, July 28 thru August 3 – Annual 4 days of practice rounds plus 3-day golf tournament on the PGA Champions (Seniors) schedule. TPC Course, Blaine. Minnesota Fringe Festival, July 31 thru August 10 – An annual eleven-day performing arts extravaganza, connecting adventurous artists with adventurous audiences. Changing venues, Minneapolis. Uptown Art Festival, August 1st-3 – Minnesota’s largest art fair, the three-day art fair in Uptown neighborhood draws 400,000 people annually, second only to the State Fair in attendance. Powderhorn Art Fair, August 2-3 – Proceeds fund park programs such as theatre arts, a computer lab, teen center, music recording studio, pottery studio and team sports. Powderhorn Park, Minneapolis. Loring Park Art Festival, August 2-3 – Consisting of 140 visual artists displaying their orginial work in 12×12 booths, strolling musicians, scheduled stage performances, children’s activities and food booths. Loring Park, Minneapolis. WE Fest, August 7-9 – Three-day country music festival at the Soo Pass Ranch, Detroit Lakes, MN. Begun in 1983, it has grown to be one of the premier country music festivals in the US. Minnesota Game Fair, August 7-16 – Special exhibits include: archery, decoys, duck boats, art, dogs, dog accessories, taxidermy and all the latest in hunting equipment for the outdoor enthusiast. Irish Fair of Minnesota, August 8-10 – Celebration of Irish heritage through activities such as: step dance, traditional group dance, Gaelic sports, Celtic marketplace, cultural displays, native Irish dogs, traditional tea room, Irish food and drink as well as local and international bands. NHRA Lucas Oil Nationals, August 14-17 – The world’s best drag racers, the fastest cars, the most insane race fans converge for the 33rd annual drag racing championships. Brainerd International Speedway, Brainerd. Mdewakanton Sioux Community Wacipi, August 15-17 – A social gathering where friends and relatives celebrate their culture and way of life. SMSC reservation, Prior Lake. State Amateur Baseball Championships, August 15 thru September 1st – Small town baseball championships, class B & C. Changing venue to be determined in early 2014. Minnesota Renaissance Fewstival, August 16 thru September 28 – An outdoor event recreating the look & feel of 16th century England, held on weekends from mid-August through the end of September, and attended by more than 300,000 people. 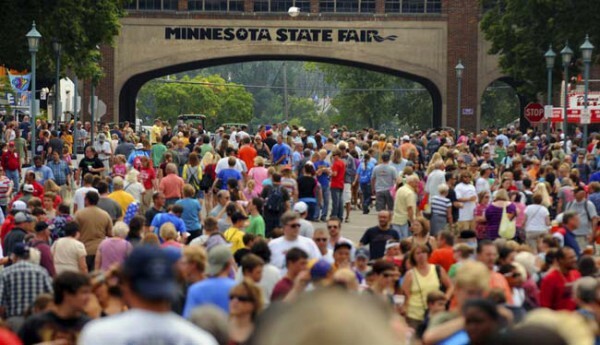 Minnesota State Fair, August 21 thru September 1st – The “Great Minnesota Get-Together” is the largest state fair in the US by average daily attendance. It is a twelve-day, annual celebration beginning in August and ending on Labor Day. Stiftungsfest, August 22-24 – Minnesota’s oldest celebration, it is held the last full weekend in August to celebrate German heritage. Norwood Young America. Minnesota Vikings, September – Minnesota Vikings of the National Football League begin their season play. 2014 season at TCF Bank Stadium on U of M campus, St. Paul. Defeat of Jesse James Days, September 5-7 – Celebrating the 1876 Jesse James Gang bank robbery, thwarted by Northfield’s armed citizens, with three days of activities. St. Paul Classikc Bike Tour, September 7 – A showcase for the handsome parks and parkways of beautiful Saint Paul, with 6000 bicycle riders participating. Summit Avenue area, St. Paul. 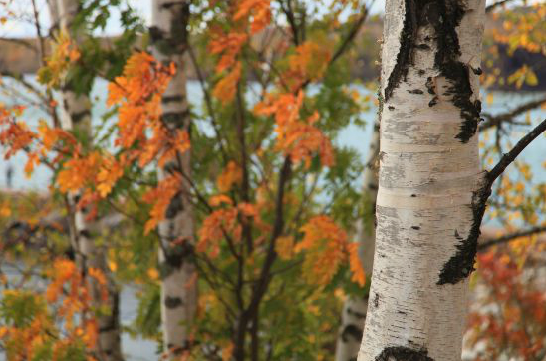 Fall Colors, September thru November – Annual changing of leaf colors from northern to southern Minnesota, resulting in road trips by people to see the colors. Oktoberfest at the Gasthaus, Mid-September – Two-weekend fun at the Gasthaus Bavarian Hunter meadows and restaurant. Stillwater. Longville Oktoberfest, Mid-September – Authentic homemade soups, soft pretzels, German and domestic beer and wine, Mary Etta’s pies, German music, also arts and crafts, more music, pontoon rides. Longville. St. Paul Oktoberfest, Mid-September – Fun, family-friendly event celebrating the Germanic heritage. St. Paul. Waterfowl Hunting, September 27 – Waterfowl hunting season opens. Throughout the state, schedule set by Department of Natural Resources. Oktoberfest Duluth, Late-September – Including Oktoberfest Style biers, German food, Polka bands, Souvenir Haus, and a number of competitions including “Team Boot Drinking.” Duluth. Mill City Oktoberfest, Late-September – Enjoy the tastes, smells, sights and sounds of Germany with activities inside the museum, outside in the Ruin Courtyard, and in the Farmers Market area in the Train Shed and Chicago Mall next to the Guthrie Theater. Downtown Minneapolis. Fargo Oktoberfest, Late-September – Fun for the whole family. From wiener dog races to the pub crawl. Fargo, ND. Oktoberfest at the Arb, Early October – German wines, specialty beer tasting, German food, music, and the annual Hammerschlagen Contest yodeling contest. Baxter. New Ulm Oktoberfest, Early October – The two-weekend festival features musical entertainment, including the local Concord Singers and a variety of bands, German goods for sale, and plenty of food and drink. New Ulm. Kimball Oktoberfest & Grape Stomp, Early October – Ethnic dancing, Oktoberfest foods & Beers, wine tasting, tours, Grape Stomping and more. Kimball. 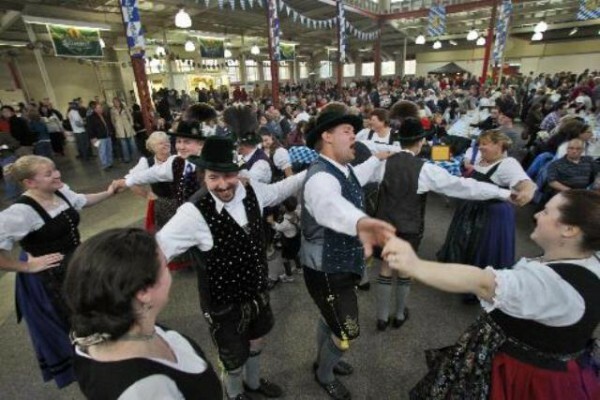 Twin Cities Oktoberfest, Early October – Throw on your lederhosen, grab your favorite beer stein and come join us at the 120 year old Progress Center building at the Minnesota State Fair Grounds. Minneapolis. Frazee Oktoberfest, Early October – Traditional German food, drink and activities. Frazee. Minnesota Timberwolves, October – Minnesota Timberwolves of the National Basketball Association begin their season play. Target Center, downtown Minneapolis. Minnesota Wild, October – Minnesota Wild of the National Hockey League begin their season play. Xcel Energy Center, downtown St. Paul. Pelican Rapids Oktoberfest Celebration, Mid-October – Dinner, dance, auction, sausage tasting and more at this piece-of-the-old-country family event that is held in several locations around the town. Pelican Rapids. Oktoberfest at Ruttger’s Bay Lake Lodge, Mid-October – Minnesota Harvest Buffet Dinner Show, German food, music and arts and crafts. Deerwood. MEA Weekend, October 16-17 – The Education Minnesota Professional Conference is always held on the third Thursday and Friday of October. Halloween, October 31 – All Hallows’ Eve, join in the festive activites of trick-or-treating, costume parties, carving pumpkins, visit haunted attractions, play pranks or watch scary or horror movies. Deer Hunt – Firearm Season, November 8-30 – Annual deer hunting with a firearm season. Throughout the state, schedule set by Department of Natural Resources. Macy’s Santaland, Mid-November – The animated display is like a giant New York City department store window display, allowing visitors to walk through elaborately decorated scenes with every twist and turn. Macy’s downtown Minneapolis. Prep Bowl, November 22-23 – State High School Footbal championships, all classes. TCF Bank Stadium, U of M campus, St. Paul. Black Friday, November 28 – Most major retailers open extremely early and offer promotional sales to kick off the holiday shopping season. Christkindlmarkt, November 28-29 – The festive German marketplace and family fair will ring in the season featuring handcrafted works and performances by local artisans. New Ulm. Rice Park Christmas Tree Lighting, November 29 – Annual lighting of the Christmas Tree in Rice Park, and a spectacular fireworks display following the lighting celebration. Rice Park, downtown St. Paul. Small Business Saturday, November 29 – Encouraging people to shop local and shop small business the first Saturday after Christmas. Cyber Monday, December 1st – This term was coined based on 2004 research showing “one of the biggest online shopping days of the year” was the Monday after Thanksgiving (2013 Cyber Monday set an online retail record of over $2 billion in sales). St. Olaf Christmas Festival, Early December – Started in 1912, this has become one of the largest holiday concerts in the country, featuring more than 500 student musicians who are members of five choirs and the St. Olaf Orchestra in four days of musical presentations. St. Olaf College, Northfield. Julmarknad, Early December – Features an outdoor Handcraft Fair, with wares for sale by more than 15 local artisans, as well as musical performances, family activities and plenty of holiday cheer. American Swedish Institute, Minneapolis. Northfield Winter Walk, December 13 – Annual festival offering shopping and dining, music and horse-drawn wagon rides along Division Street. Northfield. Minnesota Swarm, December – Minnesota Swarm of the National Lacrosse League begin their season play. Ecel Energy Center, downtown St. Paul. Christmas Eve, December 24 – Spend some time with family before Christmas. Christmas Day, December 25 – Annual commemoration of the birth of Jesus Christ and a widely observed cultural holiday. Minnesota Swarm, Late-December – Minnesota Swarm of the National Lacrosse League begin their season play. Excel Energy Center, downtown St. Paul. New Year’s Eve, December 31 – Celebrated at evening social gatherings where people eat, drink, dance and sometimes light or watch fireworks or community celebrations. Thanks for letting us know. We’ve added it to the calendar.